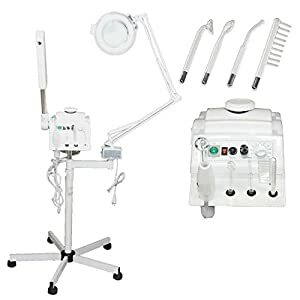 This is a 2 in 1 Ozone Facial Steamer & Mag Light Combo. 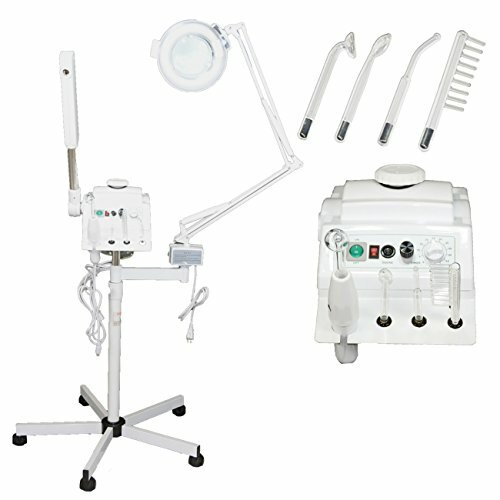 The steamer includes the ozone function to help steam and sterilize the face. 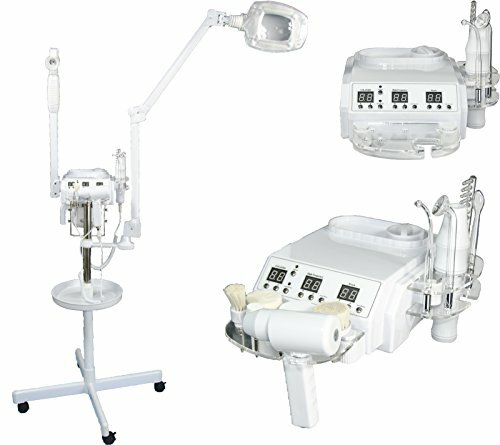 The steamer has two switches, one to activate the power and the other to activate the ozone. 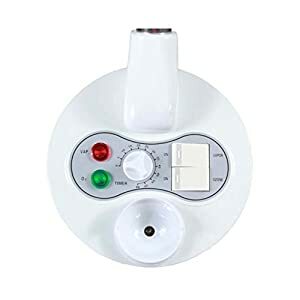 This Steamer also has a timer and an automatic shut-off function when the water level gets too low. This unit is easily adjusted up and down and it is on a study caster case for easy movement around the spa. 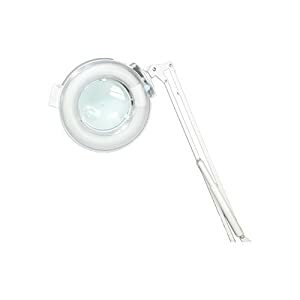 The magnifying lamp is a 5 diopter magnifying lamp. 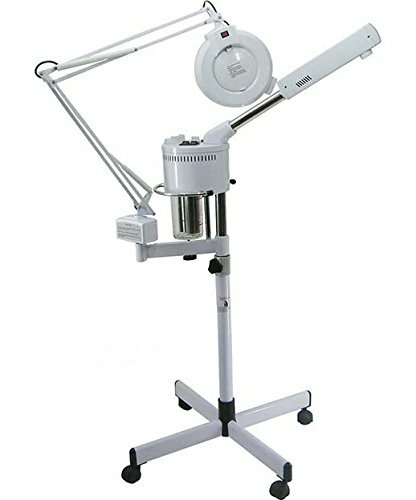 There is a 37" extendable arm making this piece fully adjustable to meet your workspace needs. 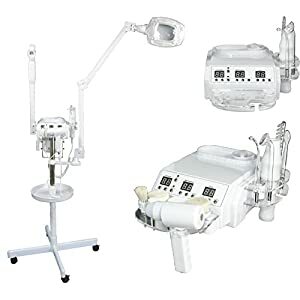 The lamp and light have a protective cover for added safety. 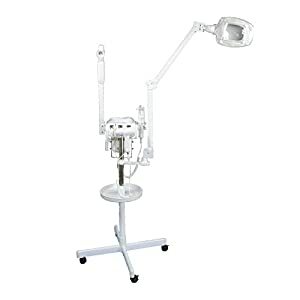 When fully extended, the lamp is 6'3" at its highest point. 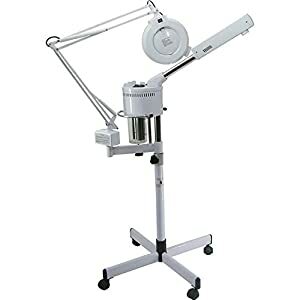 Adjustable Height: 36" - 42" Steamer Arm: 22" Overall Height at Lowest: 52" Overall Height at Highest: 58"